Not only will this new moniker become tied to your online identity, it will affect other people's perception of you, much like how your hair and clothes might during an in-person meeting. Indeed, screen name creation is probably more important than most of us realize. Don't fret, though! 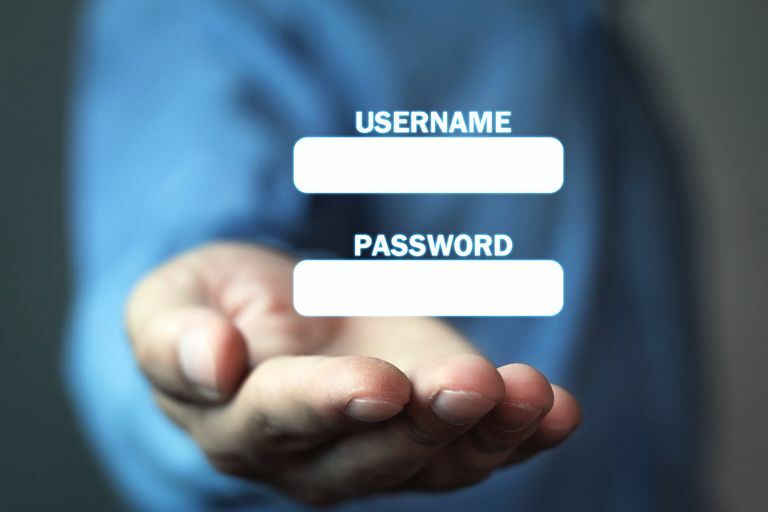 Below are a few ideas to help you score a terrific username. Do you like the color purple, dinosaurs, candy, and the number 7? Something like SweetPurpleDinosaur7 will go a long way. Jot down a few of your favorite things and consider your job or career aspirations, favorite foods, celebrities, sports teams, movies... Just be creative! Have you exhausted your lists of favorite things? Consider school mascots, your town, or other things relative to where you live and what you are about. However, be very careful not to give away too much information. Internet predators could potentially identify your location by your screen name. Something like SweetTexarkanaHighDinosaurGirl91 might seem innocent at first until you realize that it can probably be deciphered as a Texarkana, TX, high school girl who graduated or was born in 1991. On that note, maybe you should choose something specific that doesn't actually apply to you, for even more anonymity. One of the easiest ways to create a screen name with the least amount of effort is to let your computer do it for you. There are several screen name generators available that are easy and fun to use. SpinXO: Generates names using information like your hobbies, important words, name, numbers, and things you like. You can get 30 usernames immediately, and refresh for more. Click a username at SpinXO to see if they're available on different platforms like Reddit, Tumblr, YouTube, Twitter, or Instagram. Screen Name Generator: Enter two words at The Screen Name Generator to have it generate a unique screen name that's a combination of your words plus something random in between them. This is a good tool to use if you have specific words that you'd like to include in your username. Rum and Monkey: Rum and Monkey's online name generator is broken down into categories to help you find the best login ID. Get an ancient Greek name or something in military code. You can even go for a Minion or Korean name. Select a category and your gender, and then enter your name to get a fun and unique username. Fake Name Generator: This website not only gives you a username but even a whole identity, including a first and last name, address, birthday, physical attributes, employment information, and more. A bit much? Maybe so, but the usernames are pretty random and the other details are fun to read. Have you hit the 'this username is taken' roadblock and need creative inspiration? A used screen name doesn't mean it wasn't meant to be. Just like when creating strong passwords that are hard to guess, you can also use non-English word combinations to build unlikely usernames. Consider substituting symbols and letters that are similar: @=a, 3=e, $=5, S=5. Most messaging apps and social networks will let you use symbols in a username and, with many to choose from, the possibilities are nearly endless. For example, if SweetPurpleDinosaur7 is already being used, consider making it $weetPurpleD1nOsaur7.